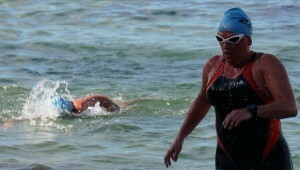 The Husky Ocean Swim Classic 1k is part of the huge Husky Triathlon festival weekend. 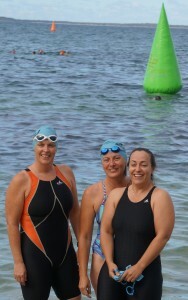 Three of our members: Nicolee Martin, Kristen Leydon and Caroline Makin decided to dip their toes into the ocean at Jervis Bay on the evening of Friday 15 February 2013, as a warm up for their Sprint Triathlon the following morning. The three Vikings lined up for the deep water start along with the other 77 female swimmers to take on the 1km swim course at this fabulous location. 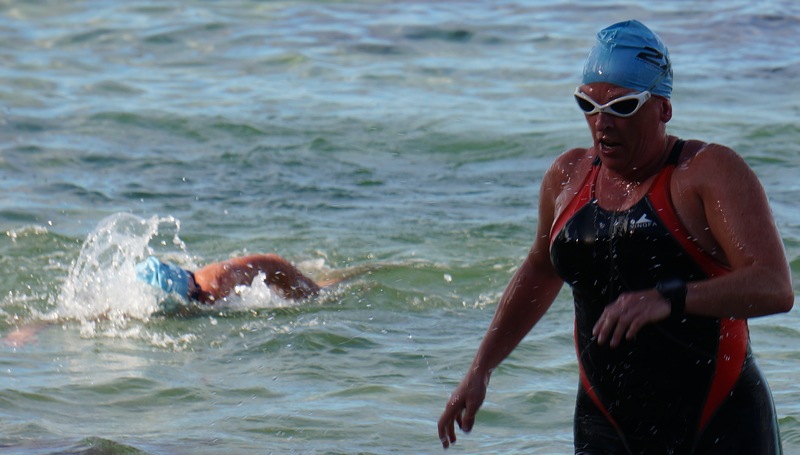 The water was a pleasant temperature, and looked deceptively calmer than in actual reality – there was a bit of a chop to fight against, particularly on the way out to the first buoy on the triangular course. Caz put in a strong swim to come over the finish line in a time of 16:02 taking 2nd place in the Female 40-49 category, with Nicolee also swimming very well and following close behind in 16:09 to take 3rd place. ‘Iron Woman’ Kristen put in a sterling effort to come home in 20:34, taking 14th place in the same category. 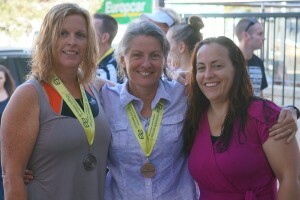 Overall, the ladies placed 13th, 14th and 47th respectively, from 80 female competitors.